A key way of staying connected with your prospects and customers and increase customer loyalty is by using email marketing to build business relationships. Although many business owners are aware of email marketing, the percentage who actually use it, as a marketing strategy, is relatively small as many are put off due to being overwhelmed by the mechanics of setting-up an email campaign. It is important that you use email as part of your relationship marketing strategy, even if you only use it to keep in touch on a quarterly basis, as it is a really easy way to keep your business connections informed and will cost you very little, other than the time it takes to compose an e-mail once you’ve set your contacts up. Remember, the content of your emails should focus on giving value and information rather than being focused solely on wanting to secure sales. The one thing you need to ensure you do is to make sure that your business contacts are happy to receive regular email updates from you. If you add them to your list through meeting them via a networking meeting and them handing you a business card this does not equate to them giving you their express permission to add them to your list. 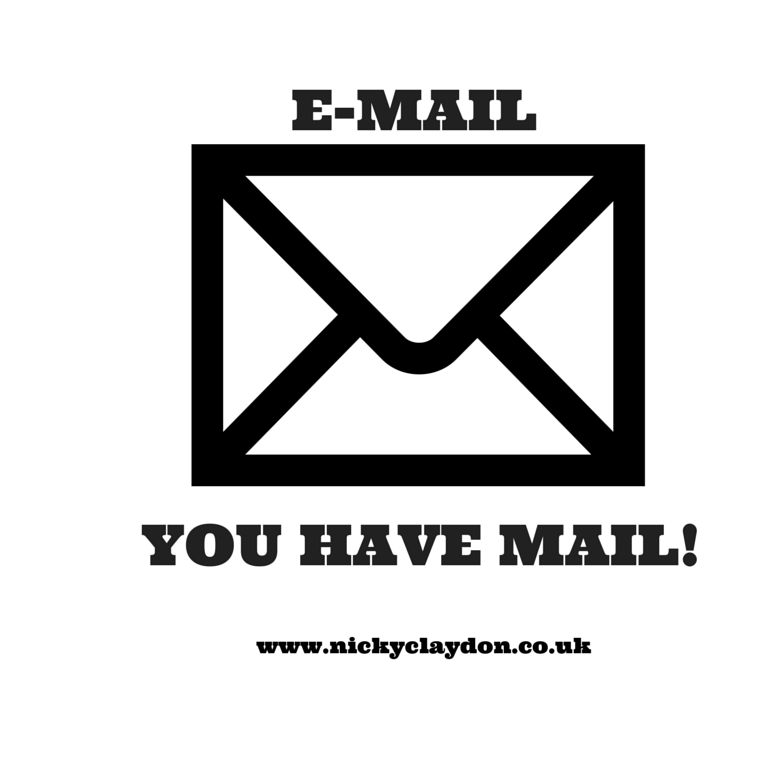 MAKE SURE YOU DO NOT BECOME THE DREADED NETWORKING NEWSLETTER JUNKY! If you have a website you can have an e-mail subscription box on your website or you can include a tick box at the end of your application form, for people purchasing your product/service, giving you authority to contact them via email. Once they are on your list you also need to ensure that you have the facility for them to un-subscribe from it, at any time. There is nothing worse than being subscribed to a list then to find that there is no way of un-subscribing from it! If you subscribe people to your list without their permission this is classed as SPAM. Mail Chimp is free to use for up to 2,000 emails per month. Get Response, AWeber and Constant Contact are free to use for a month and then payable via a monthly subscription, thereafter. The latter may not be free, like Mail Chimp, but there is much more functionality to these systems. If your contacts are stored in Excel using a CSV (Comma Separated Values) file or tab-delimited file you can then import your contacts directly into emailing systems such as Mail Chimp. This is a relatively simple and straight forward process, but if you have hundreds of contacts this could take some time to organise. This is something you should definitely consider if you know you haven’t the time to set this information up yourself due to limited time constraints. Once your contacts are stored in Excel this information can be used to help you market your business, not just for your email marketing, but for many other applications too which could help you grow your business exponentially. 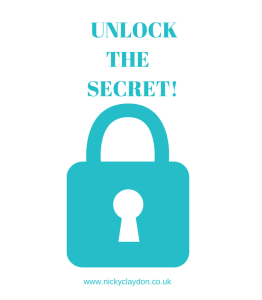 Don’t be short-sighted and overlook the importance of organising this information for your business – it could be the best thing you ever do for your business! 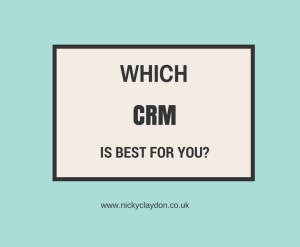 There are many tools for managing relationships and we all have our favourites – here are 5 of the best CRM (Customer Relationship Management) systems that are perfect for relationship marketers! The brilliant thing about Capsule CRM is that it enables you to manage your emails, so your inbox will never be a mess again, you will know who to email and when to get in touch. Capsule CRM has a great price – free! However if you want premium integrations including Xero, FreshBooks, MailChimp, Wufoo & more you will pay a small fee of around £5 ($8) per month. Compared to others it is expensive and has a mandatory kickstarter coaching package (which isn’t cheap), but there are case studies of people reporting 310% increase in profit to growing revenue by 832%. Although a little more expensive that other CRMs in the market place, you may consider it a really worthwhile investment, especially based upon other reviews, given by people using the Infusionsoft system, who sing Infusionsoft’s praises. Salesforce is very popular due to all the additional features and extremely affordable for ‘one-man-band’ businesses. However, pricing may be an issue for some small businesses as it is limited to 5 users at around £16 ($25) per user per month and if you want to upgrade to unlimited users it will cost about £42 ($65) per user per month. With Zoho you do have the limitation that there is no telephone support – this is only available if you have a paid account – but with all the additional features you are getting this may be easy to overlook. This gives you a brief overview of each system mentioned but if you click on the link for each one you can gain a further insight from each of the company’s websites. There are many more but these are some of the most favoured in the marketplace today. You might like to transfer your customer contacts to a virtual system like this or combine it with a manual system too. 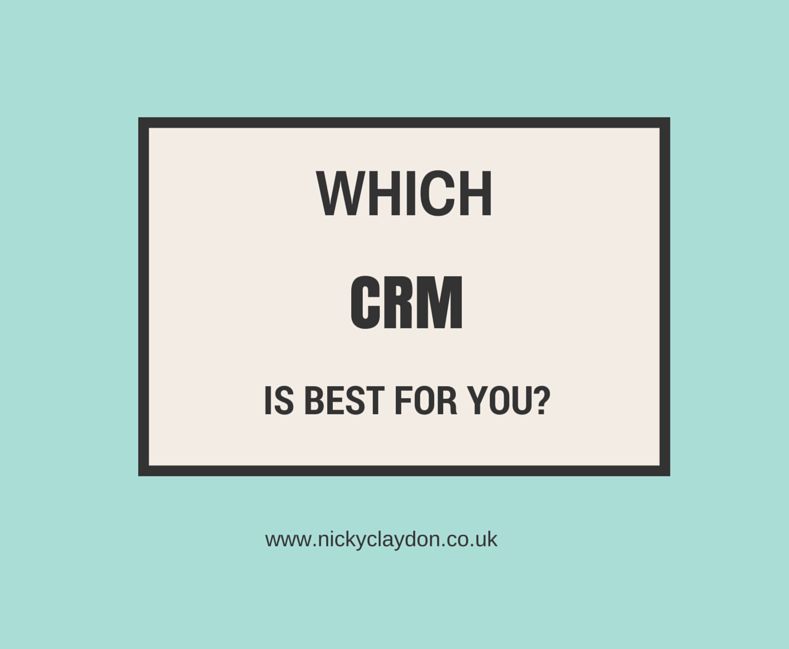 Whatever you decide to do, ensure you get a CRM system in place for your business, as soon as possible, if you haven’t done so already. I hope you find this review helpful and if you have any comments I would love to hear from you. How to follow-up with your contacts manually! The majority of people are really poor at follow-up and, as a result, they end-up doing considerably less business than they ultimately could. How often do you follow-up? 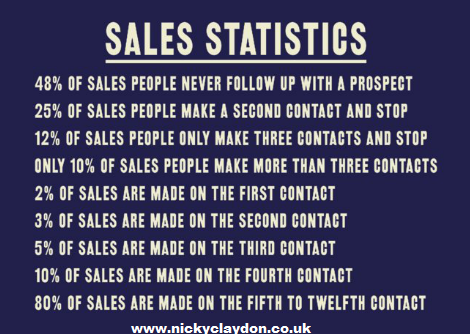 Did you know that the 80% of sales are made on the 5th to 12th contact and that only 10% of sales people make more than 3 contacts? Do you make contact more than 3 times? The main reason people do not follow-up with their business contacts is often due to having a poor follow-up system or NO SYSTEM AT ALL! Not everyone wants to use a system that is computer based, and there are lots of different ways you can have a manual system to follow-up and keep in touch with your prospects and customers. A lot of people are surprised to find that it takes very little time to set-up and put a manual system in place. The main benefit of having a manual system is that you can pick it up and take it with you, wherever you go, without relying on the need to have internet access. Often people are much more productive if they have a visual reminder in front of them too, in order to keep in touch, rather than having to access their computer or mobile. The system I would recommend to adopt, if you want to have a manual system, is to take an A4 ring binder and buy two sets of file dividers. One set with the days of the month (numbered 1-31) and one set with the months of the year. You then need a simple customer information sheet which you complete every time you meet a new prospect or secure a new customer. Once you have made contact, if they are not ready to buy now, you ascertain when would be a good time to call them back and then place them in the appropriate section of the file. Make sure that you harvest as much personal information as you can, when you are initially talking to them, as the more personal information you can glean helps you to relationship market with them in the future. At the beginning of each month you then bring forward the follow-up sheets from the monthly section and file them in the relevant daily contact sections and continue this process on a daily/monthly basis throughout the year. There are also other forms of this system you can use such as the A5 box system with A5 cards with you using the same type of dividers for the box system as you would the A4 file system. By using this type of system, if done in a methodical way, you will ensure that you never forget to follow-up with a contact again. This can, of course, be used in conjunction with a computer based system if you so wish. The choice is yours. However, this manual system is all you really need for an effective follow-up strategy. Is this something you feel would be really useful for you to utilise in your business? I hope these tips have helped. Please comment below if you need any further help of advice. Challenge Definition: Something that by its character or nature serves as a call to battle, contest, special effort, etc. 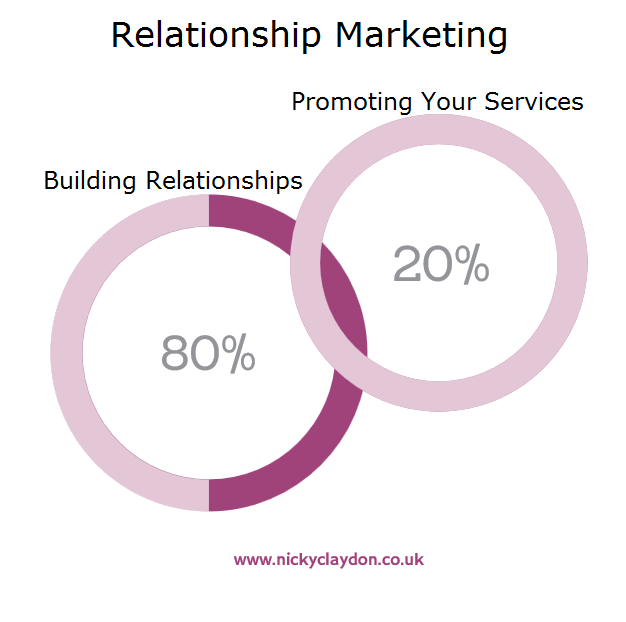 So what is the 30 Day Relationship Marketing Challenge for Business all about? By building stronger relationships and making your customers feel appreciated you will ensure that they become your customers, not for just a one-off sale, but for life. They will consistently send their friends and family to you – referrals that cost you nothing! The easiest and least expensive customers come from referrals and repeat business. Most business owners and professionals miss this and spend too much time and money battling for new “cold” prospects. Remember, the top reason customers stop doing business with you is often due to perceived indifference and feeling taken for granted. If your customers don’t hear from you how they will know you are with the same company or that the company is still in business! The Challenge will ensure that you keep in touch with your business connections, on a regular basis, so this does not happen. People do business with people they know, like and trust… and REMEMBER – if they don’t remember you it doesn’t matter how much they know, like and trust you! People want to know that you are thinking of them without always selling them something! This is the heart of relationship/appreciation marketing. Keep in contact with your customers WITHOUT mention of your latest sale, offer or product and watch your relationships grow and your referrals double! People often wonder how top salesmen achieve such high sales figures. It is due to many of them having this type of follow-up system in place. If you’re running a small business from home this can sometimes be quite a solitary experience. 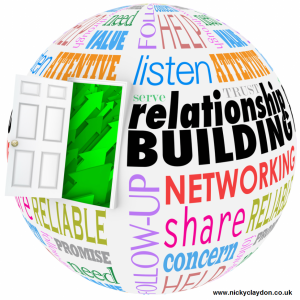 You will benefit from connecting with other business owners/professionals forming new friendships, in niches that you might not previously have come across, which can be extremely educational and interesting. When you put a good follow-up strategy in place it becomes second nature and becomes part of your daily working routine. When you start receiving positive feed-back from business contacts that you have re-connected with you will get a complete ‘buzz’ out of it. Through connecting with other business owners you will be able to network, support and share what their experiences are, throughout the Challenge, with helpful insights into what works well and what doesn’t work so well for them, in their businesses. You will gain more repeat business and referrals all of which are FREE! 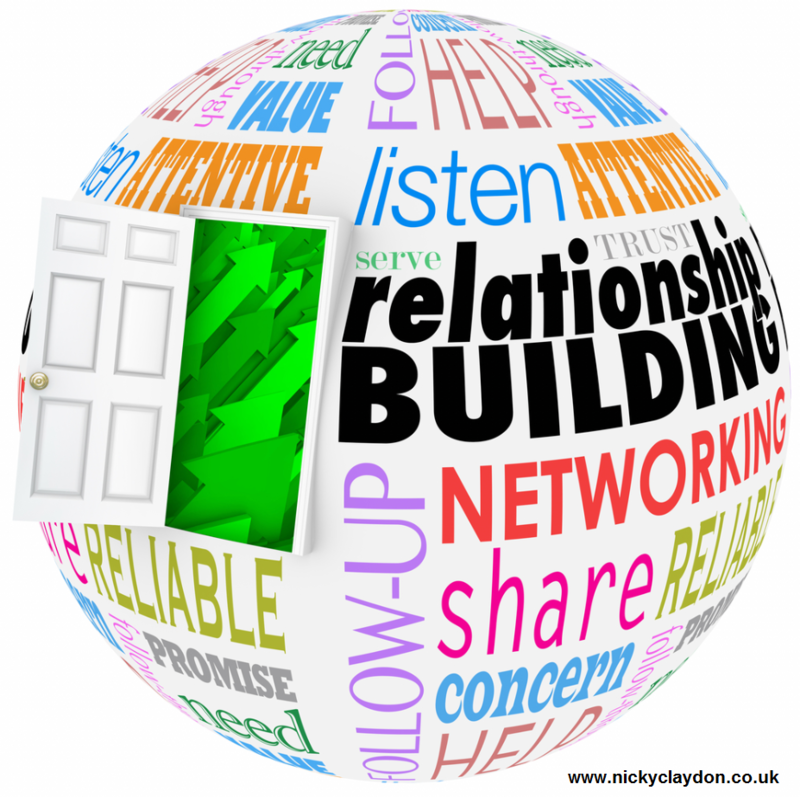 By concentrating more on forging stronger relationships, with your existing clients, you may find yourself in the position of not having the need to continually go out looking for new business. Those who aren’t prepared to seriously analyse the current actions they are taking in their business to keep in touch with their contacts, and be prepared to make a change, if appropriate. Those who aren’t prepared to dedicate some time to fostering good business relationships over the next 12 months. There is no short-term fix, customer relationships are built over time. If you don’t like being accountable in group situations and don’t like sharing your successes/failures, then this really isn’t for you. If you believe that every contact you make with a customer needs to be sales related, i.e. plugging your latest product.